Barb Schwarz has Educated Realtors®, Home Stagers, and the Public on Home Staging since the early 70’s. Barb is the Creator, Inventor and True Visionary who came up with the Staging Concept. She has built the Staging Industry from day one before any others had thought of it. There was no Staging concept in the Real Estate Industry at all until she came up with the Home Staging Concept. Barb Invented the Home Staging Concept and industry when she entered the world of Real Estate as an Agent in Bellevue, WA in the early 70’s. She quickly saw and realized the need sellers have of preparing their homes for sale. Her background in the theater in musicals and off Broadway plays gave her the idea of setting the scene and setting the Stage® in houses for buyers to see properties in the best way. This is how she came up with her concepts and called it Home Staging. Barb has frequently said that her invention of Home Staging was a gift from God. Her focus, ideas, vision, and creativity in this area became her mission and to this very day her passion grows more every-day. Her mission is to help create a better world through better home environments through the magic of Home Staging. During Barb’s real estate career she personally Staged and Sold over 5,000 homes in the greater Seattle area. Now Barb has personally trained and taught over one million people in her classes since 1985. This year Barb marks her 32nd anniversary year as a Professional Speaker. She is a ‘Certified Speaking Professional’ designated by and awarded to Barb by The National Speakers Association in 1990. Barb is rated in the top 50 Most Influential Women in Real Estate Around the World by The Real Estate Network. 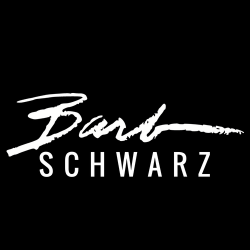 Barb Schwarz pioneered and created both the “Staging To Sell” and “Staging To Live” ® concepts. She traveled the country and North America extensively from 1985 to today spreading vision and mission of Home Staging to millions through her live trainings, seminars, best-selling books, and her award winning DVD’s. Keynote Speaker, Seminar Leader, Author, Visionary, Inventor, and Training Consultant. Because Barb introduced her concept of Staging to the United States Real Estate Industry it has changed the way Real Estate is practiced in the USA and now around the world today. Barb holds the Federally registered trademark for The Creator of Home Staging®. Barb grew up in Kansas in her earlier years. She graduated from The University of Washington with degrees in Education, Music and Design. Barb taught school for several years before opening her decorating business, which then led her to become a Real Estate Broker. It is in Real Estate where she developed and created the concept of Staging in the early 70’s. After many successful years as a Real Estate Broker using her Staging Concept and ideas she became a professional speaker and trainer to help educate the world about Home Staging in 1985. Since then the rest is now history and with you above. Barb has been married for over 33 years to Kirk Bohrer. Kirk has worked side by side with Barb throughout her career. She always says he has been and still is the wind beneath her wings. Barb has a darling special needs daughter whom she loves so very much. She adores and learns so much from her. When Barb is not Staging her favorite hobby is gardening. She works tirelessly in her garden and Stages® her Garden as well. In every part of her life Barb always Stages® everything around her. There is no way Barb could stop Staging after creating the concept that has changed the Real Estate Industry forever. She also loves to write, create and develop new ideas, and shop for items for the home to recommend to others for Staging. Barb continues to help ASP®’s throughout the world who seek her help. She also helps others in her community often who are in need. Barb and her family reside in Washington State in the Seattle area.